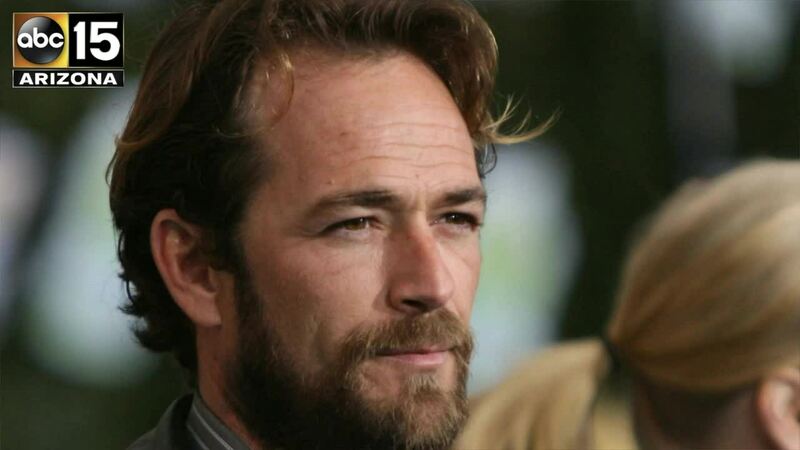 Actor Luke Perry has died after suffering stroke. Luke Perry, who gained instant heartthrob status as wealthy rebel Dylan McKay on "Beverly Hills, 90210," died Monday after suffering a massive stroke, his publicist said. Perry was surrounded by family and friends when he died, publicist Arnold Robinson said. The actor had been hospitalized since last Wednesday, after a 911 call summoned medical help to his home in the Sherman Oaks section of Los Angeles. At Perry's bedside were his children, Jake and Sophie; fiancee Wendy Madison Bauer and his former wife, Minnie Sharp. Born and raised in rural Fredericktown, Ohio, Perry gained fame on "Beverly Hills, 90210," which ran from 1990 to 2000. "90210" co-star Ian Ziering paid tribute to his co-star on Twitter, where six of the worldwide top trending topics Monday morning were Perry-related. "I will forever bask in the loving memories we've shared over the last thirty years," Ziering said. "May your journey forward be enriched by the magnificent souls who have passed before you, just like you have done here, for those you leave behind." Perry has had roles in a handful of films, including "The Fifth Element," `'8 Seconds" and "American Strays." He appeared in HBO's prison drama "Oz" and voiced cartoons like "The Incredible Hulk" and "Mortal Kombat." In recent years he starred in the series "Ties That Bind" and "Body of Proof."